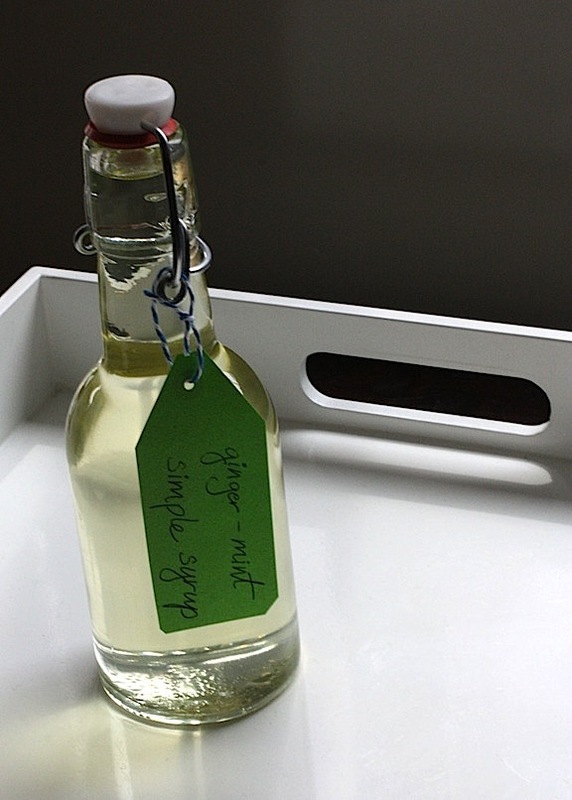 Simple syrups are one of my favorite homemade gifts. They are so easy to stir up but manage to seem thoughtful and impressive once a pretty bottle is involved. 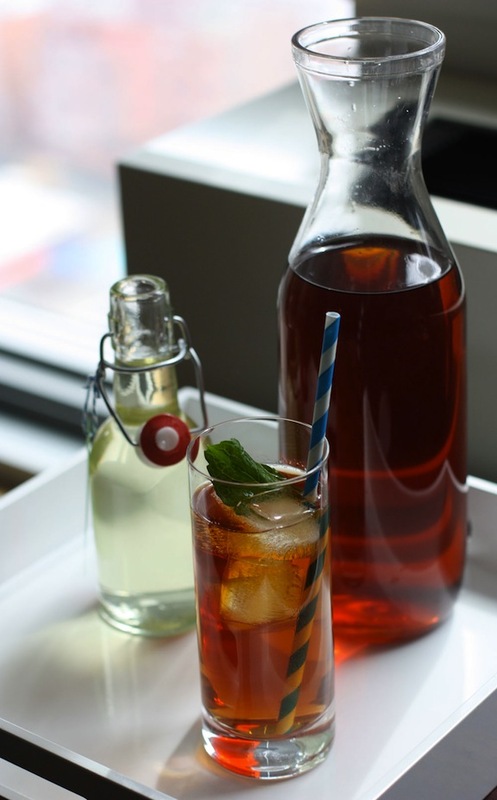 Start with equal parts sugar and water and then get creative with other ingredients to infuse flavor into your syrup. 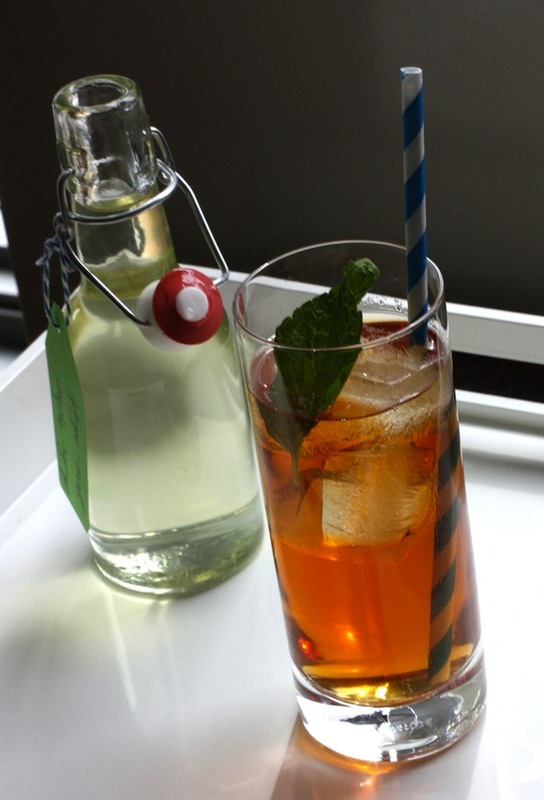 Ginger and mint are two of my favorites. It's a great combination for elevating cocktails, dressing up a fruit salad, and it's a welcome addition to a glass of iced tea. Whisk the ingredients together in a small pot over medium-high heat. Stir periodically to ensure the sugar dissolves as you bring it to a boil. Once the syrup reaches a boil, turn down heat to low and simmer for three minutes. Remove pot from heat and cover for 30 minutes. Pour through a sieve and keep refrigerated in a bottle. 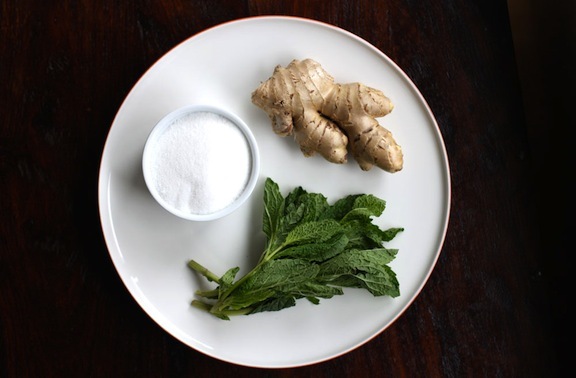 That is so easy that I will give it a go, as it sounds a delicious combination, with heat from the ginger and refreshment from the mint in equal amounts. Can imagine it would be lovely with soda water. This would make such a thoughtful and original gift!